Beautiful combination of vibrant Dahlias. 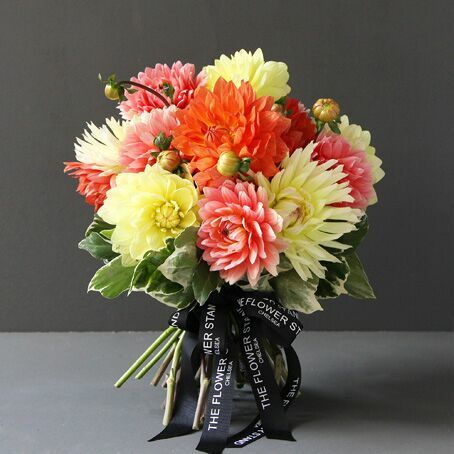 English grown, yellow, orange and pink Dahlias are combined with seasonal foliage to create this luxury bouquet. 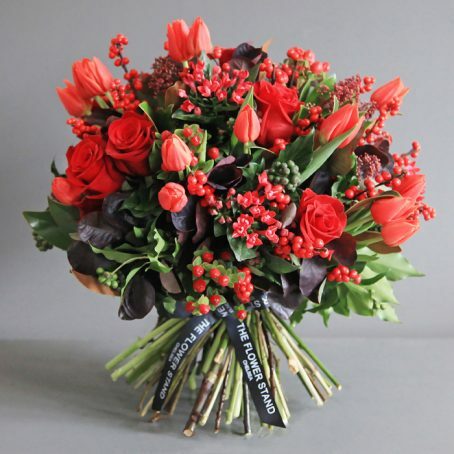 The finest quality English Dahlias are used to create this stunning, vibrant bouquet. A wonderful summer bouquet of colourful Dhalias against a backdrop of seasonal foliage. 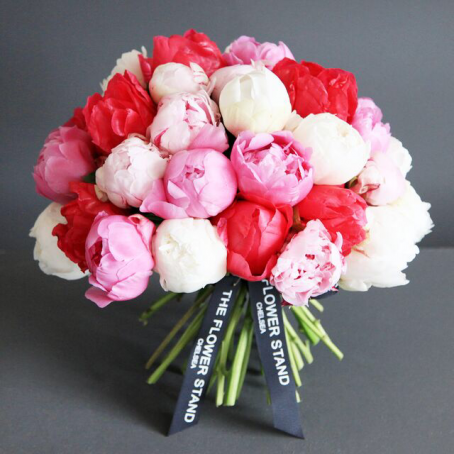 Available as small, medium, large or deluxe size bouquets. 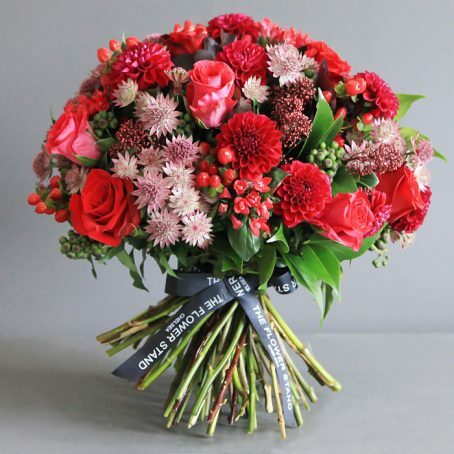 Dahlias are generally unscented flowers, as such, in order to attract pollinating insects they grow in a wide range of brightly coloured blooms, displaying most hues, with the exception of blue. 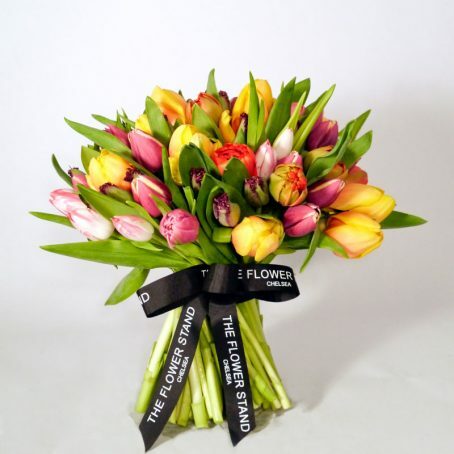 This luxury bouquet combines orange, pastel yellow and pink Dahlia flowers. 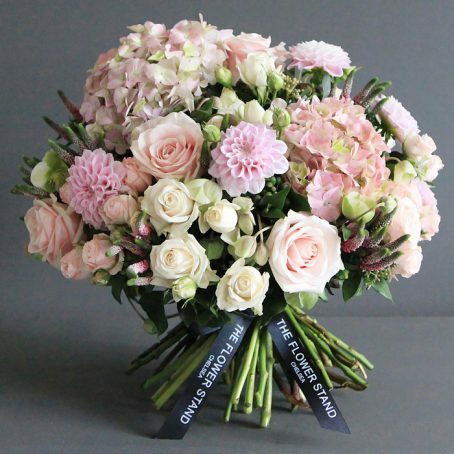 A beautiful luxury bouquet of flowers comprising Columbian Hydrangeas, Wizard of Oz Dahlias, Mother of Pearl Roses, Veronica, Spray Roses and Seasonal foliage.